Der #Kohleausstieg ist übrigens nur EIN Teil dessen, was insgesamt beim #Klimaschutz passieren muss. Auch in anderen Bereichen wie Verkehr oder Landwirtschaft brauchen wir Kompromissfähigkeit und Lösungswillen. Das werden wir mit einem Klimaschutz-Gesetz sicherstellen. In France, where nuclear energy is what coal long was to Germany, the French energy transition is also being worked on. On Friday (25 January), the French government presented its multiannual energy programme. It foresees a significant expansion of renewable energies, which currently constitute only around 20% of the French electricity mix. 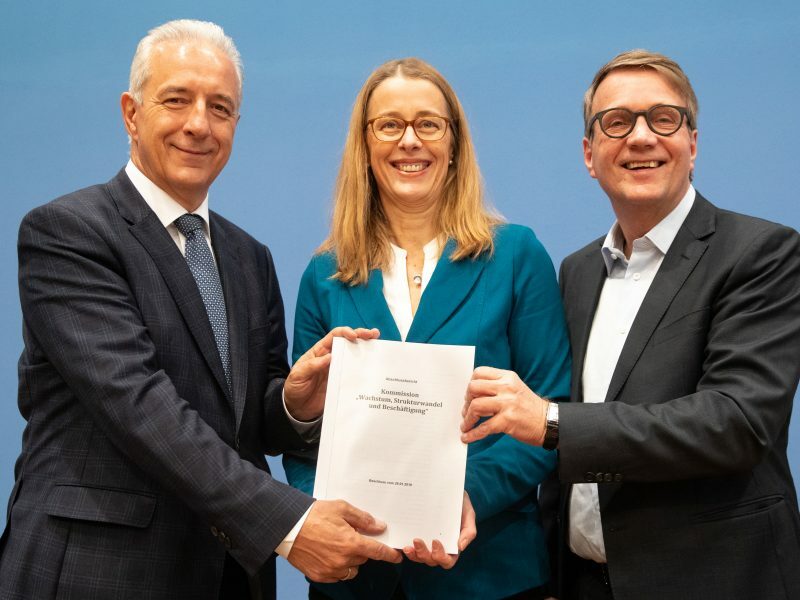 With negotiations having lasted eight months and the outcome already postponed once, the German Commission on Growth, Structural Change and Employment (the so-called “coal commission”), has presented its final report. What’s in it? EURACTIV Germany reports. The German coal commission’s plan therefore sent an important message to its neighbour, believed Audrey Mathieu, senior advisor on Franco-German and EU low-carbon policy at Germanwatch. “The commission is showing the way to an energy industry in which renewable energies constitute the fundamental pillar,” Mathieu said. “In France, it’s currently being decided whether nuclear energy will be used as a bridging technology or whether it will actually remain the foundation of the French energy mix in the long-term. With the commission, Germany has therefore taken an important first step which sends a signal to other EU states,” she added. However, the plan was not enough to achieve the Paris climate objectives, Mathieu emphasised. For these to be met, there needed to be a review in 2023 and further measures taken, such as establishing a minimum price for CO2 in the electricity sector. The French Climate Action Network also considers the objective of phasing out coal by 2038 to be too late and is calling for there to be a Franco-German energy agreement to drive forward the European energy transition. 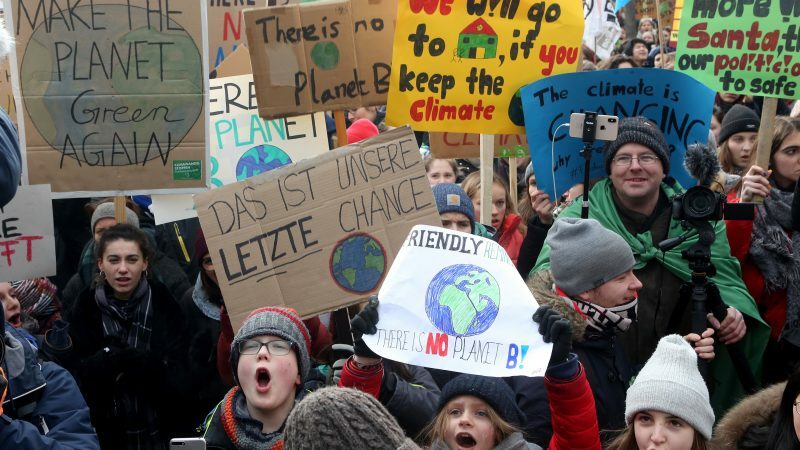 Meanwhile, environmental activists in Germany are also welcoming the compromise reached. She added that Germany would at least achieve its climate objectives for 2030, provided that decisive measures were also taken in other areas. But DIE LINKE (The Left) party was much more critical. “‘Brave climate protection does not look like this. The proposals by the #coalcommission are clearly in the coal lobby’s handwriting. Phasing out coal in 20 years is much too late both for the climate and for humanity,’ says @katjakipping #Endcoal,” DIE LINKE tweeted. This was expressed in diplomatic terms since the coal commission’s report specifically calls for the Hambach forest in Western Germany to be preserved. The forest is at risk of being cleared by RWE and has long been a symbol of the German energy transition. On the other hand, the far-right AfD is not satisfied at all. There is concern about the huge cost of phasing out coal. “Commission for phasing out coal: Soon there’ll only be energy for the rich! Karsten #Hilse, environmental spokesperson: “The #AfD will put a stop to this dirty manoeuvre in the bumper election year of 2019 and name those responsible,” the AfD parliamentary group in the German Bundestag tweeted. In the meantime, the German federal states are pleased with the coal commission’s planned financial assistance. Over a period of 20 years, €40 billion is to be invested as financial support for the structural change. This was an “incredibly huge figure” that Saxony would have never come across on its own, its minister-president Michael Kretschmer said on Sunday (27 January).